Fortnite is a phenomenon and the numbers really are impressive, but why? Why is Fortnite so far ahead of other games? As was discussed in the last article, there are certain psychological needs we try and meet through playing video games. When it comes to engaging its players, Fortnite doesn’t specialize in one category like some games do, rather it cleverly addresses our motivation to feel competent, to have in-game autonomy, and to feel like we are connected to other people through our need for relatedness. These motivations are a key part of understanding the drive to play video games in a healthy or unhealthy way. In Fortnite, gamers feel competence because it is a game that involves many strengths, including communication and coordination. There are two primary mechanics to master. One is aim, and the other is building. Even if it is a game that appeals to the more casual gamer because it might be seen as less technical than other games of the same genre, there is plenty of skill involved in winning a “Victory Royale“ and there is a big gap between the top players and the rest of the field. Earning vbucks and acquiring skins is also giving Fortnite players a sense of achievement as they show a bit of prestige in their social circles. The nature of the game also allows for a fair bit of autonomy because of all of the creative approaches you can take toward making it to the final circles. The building process is a unique part of the game that has the potential to become quite creative, but also has to happen on-the-fly with quick thinking. This particular game mechanic has been compared to Minecraft, and young Fortnite fans who I’ve worked with agree that many players are motivated by that part. Players will use the building mechanic during battle in creative ways to win engagements against other players, but Fortnite also has a playground mode that has produced some impressive creative feats. Choosing a skin to wear is another way of taking a bit of pride in your avatar. Consider it a form of virtual expression. Fortnite is best played with friends to the hit “relatedness” need. If your child is running through the front door and barely taking off their shoes or saying hi to you on their way to the couch/desk, he or she has likely made plans to play with friends online. This game is rich with content, and nobody has to pay a dime to get it on any device. Yes that’s right. Fortnite can be played on IOS, PC, PS4, XBOX and Nintendo Switch. Did I leave any out? Probably. It’s everywhere, and it’s free. That accessibility and fun game design means that it is a huge topic for conversation and socializing outside of the game. As a teacher I can tell you that it’s a pretty non-stop conversation piece during recess. Fortnite also makes its players feel like that are part of something bigger than themselves with its culture and content. Epic Games has done an exceptional job with foreshadowing big changes coming to the game through storytelling and cinematics before the season ends. Sometimes this mechanic is taken into unethical territories and the first example that comes to mind would be the infamous loot box. Gamers essentially pay money to open a loot box to see what virtual goods are inside. The hope is that there is something that looks cool, or is somehow valuable, but you won’t ever know unless you pay to have a look. Usually loot boxes are just about skins (often custom clothing or designs on weapons) and don’t have any relevance to game play, yet people will still pay money to unlock these boxes! This isn’t much different than a slot machine because of the fact that it costs money to “pull the lever”. Fortnite doesn’t use loot boxes. The skins in the game are just a part of an online retail store. Items seem rare because they seem to be available for a limited time. The thing about Fortnite is that the variable rewards are a core mechanic of the game, and of all games in the Battle Royale genre. It’s a big factor in what separates it from other more traditional FPS games. 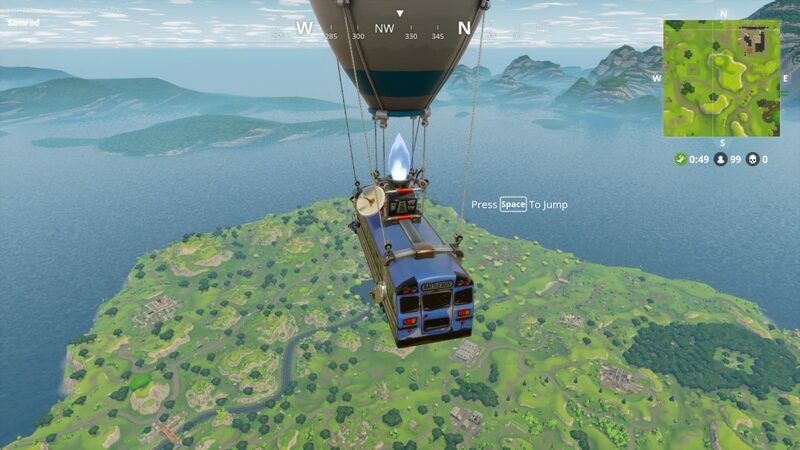 In Fortnite, you don’t know what loot you’re going to get when you land from the battle bus, the “storm” will change how you play the current game, and when you are traversing this giant map and eliminating other players, you don’t know what loot they will drop for you, or even when you will come across someone for a battle. You might feel like you are in a constant state of anticipation, which can build over the game and result in a big adrenaline rush with a spike in heart rate or a “near miss” rush in the late game. Rather than constantly give you the rewards you are after, Battle Royale games make you wait for it which can either be boring, or very exciting. When you die during this build up, it feels bad because you have to start again after putting in a lot of time, or because it felt unlucky because you didn’t get to equip yourself with effective weapons. These are great motivations to drop from the Battlebus again and again in hopes of sweet, sweet victory. When players feel bad from being eliminated quickly because they didn’t get a good weapon in the early game, or because their death didn’t feel fair, they experience a kind of loss aversion, and may want to “drop” again immediately. Loss aversion is basically the idea that we will go out of our way to avoid the pain of losses because we feel losses more strongly than we feel successes. Losing in Fortnite will encourage someone to play again to protect their egos and to feel like there was some value in the time they are putting into that session. This isn’t new to gaming, but I feel like Battle Royale games take advantage of loss aversion quite a uniquely since winning the game relies on you surviving longer than 99 other players. It’s much more difficult to feel success than in other games. It’s not two teams of equal size like traditional Team Deathmatch or Capture the Flag game modes. Those traditional game modes let you off the hook more often. Battle Royale asks you to change the way you think about losing but that’s hard to do. Nobody really wants to end their play session on a loss. Because random chance is a big part of the game, players feel hopeful for better results in the next round in a similar way to gamblers being hopeful that their luck will change. But before you go down the rabbit hole of comparing gaming to gambling, know this: The absence of money from this equation makes video games very different from gambling, despite the similarities. If we have a deeper understanding of what we are getting out of video games, it will soften the power they have over our playing habits. Overplaying doesn’t just have an opportunity cost on your time, it can actually make your gaming experiences less enjoyable. Check out the intelligent gaming guide in the links below to get an idea of how to hit the gaming sweet spot. As for Fortnite, I don’t think that it is particularly obtrusive or manipulative like some game design can be. For the most part I think that Epic Games just nailed it and most of our kids are just playing to have a tonne of fun.